Plum Rains on Happy House follows an American who is trying to turn an Inn into a school but is thwarted by the house’s strange creatures. What was the inspiration behind this unique story? This book is for Japan. It’s the place I call home—though it may not want me to. For over 25 years I have grappled with the dos and don’t’s of my host country, destroying the language in conversation, giving up, resuming more study, eventually resigning myself to the boundless plateaus of almost-speech. And Japan abides. Like a patient steward, it absorbs the frolics and the ribbing, while providing a solacing habitat in which to write and teach and parent and grow. I came over to Japan in the 80’s and I’ve lived in some pretty seedy guesthouses—what we call gaijin houses. In creating the residents of Happy House, I just mingled the characteristics of a few of the unique people I’ve met over the decades in Tokyo and in Los Angeles. In some cases, I didn’t need to exaggerate at all. On one level Plum Rains on Happy House is a detective story. A fellow named Harry Ballse invites the protagonist, nicknamed the Ichiban, to Japan. But the residents of Happy House all deny any knowledge of this mysterious Harry Ballse. Some readers may pick up on the references to the 1973 film The Wicker Man, about a policeman who is lured to a Scottish island to investigate the report of a missing child. It’s a game of deception. The islanders are playing with him. The paganism and the sexual activity the sanctimonious policeman finds so objectionable are simply part of the selection process—to see if he possesses the characteristics to burn in their wicker effigy so that the village will have subsequent successful harvests. In Plum Rains on Happy House, the Ichiban must undergo his own horrific sacrifice to appease the house. My novel is in many ways a tribute to that remarkable film, and it has the same foundational plot lines, but I’ve laid down a hearty layer of satire and lots of cross-cultural lunacy. There are some weird and fascinating things happening in this story. Was this an easy outlet for your creativity or was there some effort put into creating these things? Nothing is easy. If women will forgive me the metaphor, creating Plum Rains on Happy House was like giving birth—it hurt a lot. There were points when I considered giving up because it was just too hard. I’m not a funny person, but I have little trouble dreaming up wacky stories and characters. The residents of Happy House had to be distinctively quirky. I didn’t know how bawdy things were going to become, or how much depravity would creep its way into the story. But once I had the characters they took charge, and I relegated myself to being, more or less, their stenographer. Sometimes readers need to work a bit to understand the exchange, and I think they appreciate that. Dialog is an organic process. It’s the way characters talk in my head, and I think I know how to write them because they are all a part of me. It all works toward satisfying the element of what a good scene often comes down to: one person trying to get something from another. What do you find is a surprising reaction people have when they read your book? The book has received mixed reviews. Of the five books I have up on Amazon, Plum Rains on Happy House was the first to receive a customer review of one star—perhaps rightfully so: the reader was “disgusted” by some of the more explicit scenes, and I think that was my fault; the earlier cover gave no indication of the sexual content within, and this poor woman was clearly ambushed. With the one star, I know I’m finally an author, and wear it as a badge of honor. There are, however, cultural elements in the story that some will not understand: the usage of the various slipper customs inside a house, the daily beating of the futon, the laundry poles, the shockingly steep stairwells, the neighborhood garbage trucks that play cute tunes to let you know they’re coming, the confusion between the colors of blue and green. The dichotomy of substance versus form also plays an important part in underscoring the tension—in the way one swings a tennis racket, or walks in a swimming pool, or plays baseball, or eats particular dishes: What should predominate—what you are doing or how you are doing it? On another level, the story examines language acquisition and the role of structure within the learning process. The residents all have their various opinions: As teachers, should English be taught through some kind of lock-step formula, or would one be better off approaching it in a more hands off manner, rather like painting? Everyone seems to have an opinion. The idea of structure comes to the forefront again when discussing what one character, Sensei, calls the hidden structure of the house, which, like the neighborhood (or any cityscape in Japan) appears as an amorphous sprawl. But look underneath this sprawl and one sees the organism. Sensei says that the randomness, or chaos, embraces a flexible, orderly structure, and he likens the house to an amoeba that has the ability to alter its shape. Similarly, this amoeba can be seen as a microcosm of Japan as a whole. What are you currently working on and when will it be available? I’ve finished the first few drafts of a story about Special Needs teens who discover time travel. But the adult teachers at the school find out what’s going on and abuse this ability to travel back into time for their own selfish needs. It turns out the ones with the Special Needs are not the teenagers—who are all somewhere on the Autism spectrum—but the supposed grownups, and it’s up to the teens to save the day. It should be out in autumn. In Japan, the little inn called Happy House welcomes its guests … unless it’s rainy season. When the “plum rains” arrive, trying times of volatility and decadence begin for everyone. The American in Room 1, however, is dead-set on turning the derelict Happy House into a burgeoning English school. The house has other plans, and Room 1’s attempts are thwarted by a freakish creature that lives under the floorboards called “the Crat”. Epiphany’s Gift follows one young girl through her life as she struggles to cope with an extraordinary gift. What was the inspiration for her gift and the struggles she faced? As a child, I had several powerful “visions” and/or paranormal experiences. Because the experiences were so exciting and so unusual, I was surprised to find that when I talked about these experiences, adults didn’t want to hear about it. They told me it was my imagination. Or worse. So, I stopped talking to anyone and kept my experiences to myself. Later, I began to read about other people who had unusual “visions.” I began to study the writings of religious mystics and found many similarities to my own encounters with “another level of existence.” In 1979, I met a psychic medium and we became friends. Although my “mystical” experiences were not the same as her “impressions,” we found we had a lot in common and have remained friends ever since. I really enjoyed the well developed character in the book. Was there anything taken from your own life and put into the story? Along with my childhood experiences, I included a number of “autobiographical” elements in the story. One is my work as an art historian and my fascination with artists such as William Blake and his visionary illustrations, especially the works he did of Dante’s Inferno. I also incorporated my interest in Asian art and culture in the character of Maro Guido, an art crimes investigator who is half Japanese. I wanted to explore his views about art from a non-Western perspective. And, I set Epiphany’s Gift in southern Ohio where I lived for four years while attending Ohio University. I was fascinated with Appalachian culture and wanted to immerse myself in the area and its special landscape. 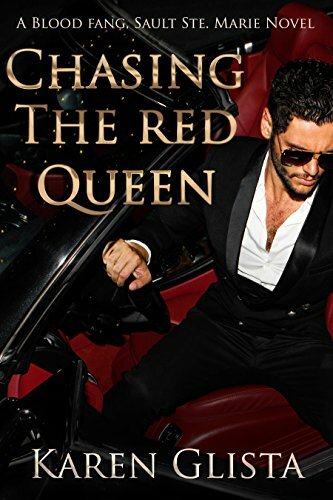 This book blends several genres exceptionally well. Was this your intention or did this happen organically while writing? When I first started writing Epiphany’s Gift, I intended to create a series of stories that combined paranormal events with art crimes. I wanted my readers to understand the problem of art theft and the significance of taking cultural treasures out of the public arena and into private collections where they are only seen by a few individuals. I believe that art has a lot to teach us about how our civilization developed and why we are who we are. So, I think that art belongs in a larger world that is open to the public. But I also wanted to explore the issue of climate change and environmental degradation. I was encouraged by Dan Bloom, a climate activist and editor of the Cli-Fi Report, to explore various aspects of global warming and its consequences in my writing. In Epiphany’s Gift I take on the issue of fracking and its consequences. In subsequent books, I plan to focus on a number of climate-related issues including the spread of tropical diseases, effects on water resources, and catastrophic weather events. So, my stories will be about paranormal events, art crimes and global climate change. Something for everyone! When will this book be available and where can readers pick up a copy? I’ve just sent the manuscript off to the publisher, so I expect the book will be available in May or June 2019. It will be available on Amazon, through Archway Publishing, and on my website: www.mallorymoconnor.com. Hopefully, it will later be available at libraries and bookstores. Connect with me through my website and I’d be happy to answer questions. For thirty years, Epiphany Mayall has worked as a psychic medium in the small Spiritualist community of Cassadaga, Florida. But when she returns to her childhood home in Mt. Eden, Ohio, to visit her aging mother, she finds that the rural community is reeling from a series of alarming events. The pristine world of her childhood is being destroyed. Wells and creeks are polluted, and earthquakes have become a frequent danger. 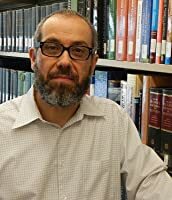 Epiphany’s former professor and mentor, art historian Dr. John Bernhardt, believes that the problems are the result of fracking operations that are being carried out by an energy corporation in the region, and that someone from the company is also connected with the disappearance of an illustration of Dante’s Inferno from the university museum. Bernhardt writes an article for the local newspaper about his theory, but the next day he is found dead. When John’s ghost appears to Epiphany and tells her that he was poisoned, she becomes determined to find the answers to several questions: who is responsible for the environmental disaster, who stole the illustration of Dante’s Inferno from the university museum, and who murdered Professor Bernhardt? Aided by art crimes investigator, Maro Gaido, and by Blake King, an eccentric local artist, Epiphany tries to put together the pieces of a disturbing puzzle, but finds her efforts thwarted at every turn. Even a State Senator cannot help. As the earthquakes escalate, Epiphany begins to wonder if even her psychic gifts are enough to find the answers before it’s too late to save her loved ones from disaster. When you tire of the overload of digital and technology tools within our 2019 era, K.B. 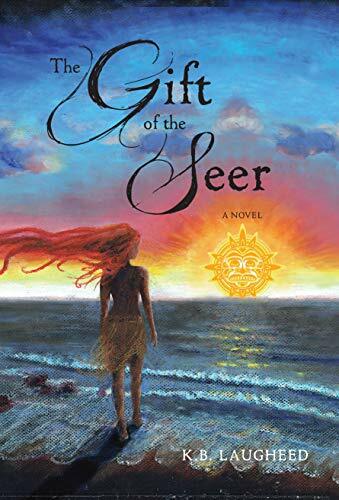 Laugheed’s The Gift of the Seer will expedite time travel back with you, and this author will have you writing with a feathered quill by the end of this literary journey! 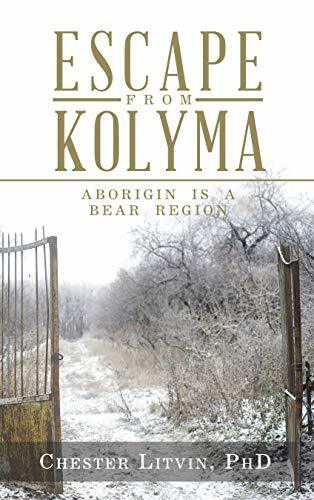 Put on your cultural anthropologist boots and allow this novel to cleverly weave historical yet fantastical plot elements, interestingly complex characters, and a rugged setting that will definitely transport and immerse readers. 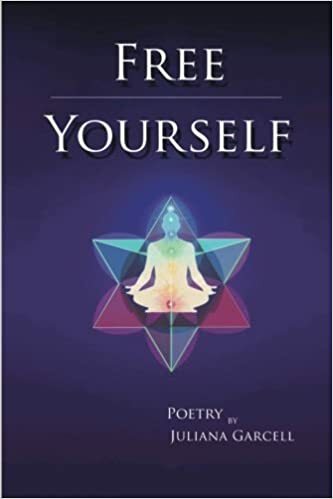 You will face cultural nuances, norms, spiritual beliefs, worldviews, philosophies, goals, life lessons, conflicts, natural connections, romances, and myriads of adventures via an Indian perspective. Our protagonist, Katie, provides uncensored reflections and stories spanning from the years 1748-1778. Yet Katie, the book’s protagonist, is not the docile, silent, subjugated, stereotypical, domesticated wife and mother that many heroines from her time era typically portray. Instead, she is a literary and cultural badass-think Katniss from The Hunger Games -but Katie encompasses more maturity, carnal pleasures, and complexities as a woman struggling to survive among different cultures, determined to sustain her love for her husband against all odds, and abandoning the feelings of guilt and condemnation based on her feeling that she’s living a big lie! In short, adventures, dangers, thrills, and chills will bombard you on every page. Yet instead of feeling defeated and exhausted, you will experience the triumphs and evolution, right alongside Katie, as if you were a passenger in her canoe! The book is brilliant in terms of its vivid, sensory details that paint a no-nonsense picture of life during this era. The characters also conjure feelings of fables and folk tales via the author’s unique, authentic style. At times, I noticed hints of magical realism, which further add pizazz to this riveting book. While there are so many positive qualities about this book, especially the way in which the author develops her vast array of characters and executes her dramatic dialogue, all with cultural relevance and sensitivity, I was a bit overwhelmed with the plethora of social, historical, political, cultural, marital problems and themes that she tries to address all at once. At times it was slightly too ambitious for me to keep track of all the family members, neighbors, friends, and foes. Although they are important, especially to comprehend the larger scope of the historical fiction milieu, some of the symbols were slightly perplexing and some plot events were mentioned but not fully explained. All in all, because readers can sense the imminent danger on every page, as evident from the great use of foreshadowing and cautionary notes to build suspense throughout the text, as in “til the ocean wave of Colonists comes crashing down upon us—then we will see which of us is right,” We not only learn cultural and historical information through characters with real vulnerability and authenticity, but we also find solace in our own journeys about how to fit into this world and all its challenges! We obtain a true sense of empowerment within this challenging piece of art. Try this time travelling and cultural anthropological plight by K.B. Laugheed in The Gift of the Seer! In the year 1630, in Hangzhou, China, two families were getting set to join with the marriage of Li Bing and Xiaoyun Wang. Marriage is taken very seriously and there are many traditions that must be observed in order to ensure a prosperous marriage to the couple. Li Bing is the city’s celebrity of sorts as he prepares to take the exams to become an important civil servant for the city. This causes his father to receive many gifts and accolades, as well as resentment. Vice-perfect Wang Zhengqian, father of Xiaoyun, plots to ruin Li Bing’s father, the other vice-perfect Li Gao. Wang is power hungry and wants nothing more than to gain all he can, and cares little who he hurts in the process, his own family included. Mandarin Ducks is the second book in a trilogy by Robert Campbell. 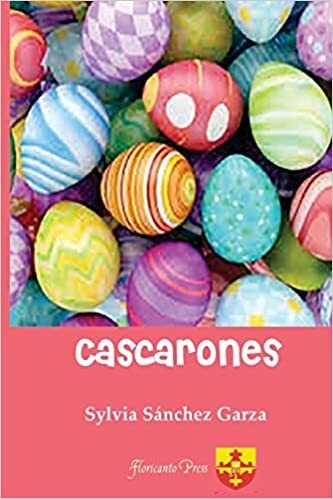 The first novel gives you more background of this community and some the characters so I recommend reading that first, but it’s not required as this book can stand on it’s own. Taking place in the 1600’s of China, it talks about how some of the inhabitants have roots in Jewish culture, and how they have to keep that hidden away. Li Bing has a deep interest in discovering his heritage and Jewish roots but must go in secret to learn more about his past. His grandfather helps him some but is growing old quickly and Li Bing is worried all the past knowledge will be lost. There is a lot of focus on class and the nuances that each rung of society has to observe. I enjoyed reading about how the different classes interacted, and as the story line developed I grew more invested as things become more intricate and layered. The novel has a slow start and builds at a steady pace that never feels rushed and allows you to grow attached to the main characters involved in the plot. The side story of Li Bing learning about his Jewish roots mixed into the scandal between the vice-perfects was well placed and fit seamlessly into things, nothing felt like added filler, everything seemed important to the progression of the story. I really enjoyed Robert Campbell’s style of writing. The prose is clean and the story is focused. The story expertly builds suspense and develops the characters in a way that you either love or hate them. There is real history encased in the story, making things more believable, and adding extra depth to the plot. I look forward to reading the next installment of this series. 18 Cranes follows a young boy as he prepares for an important civil servant exam while being tormented by nightmares. What was the inspiration for the setup to this intriguing story? The story was inspired by my own journey of learning about China, first through teaching Chinese students in Canada, and then through my eye-opening experience teaching and traveling in China. Bing is an interesting character that continued to gain depth as the story progressed. What were some driving ideals behind his character? Bing is a composite character, reflecting some the attitudes and behaviors I’ve observed in my Chinese students, but also embodying elements of historical and fictional persons I’ve read about. This story takes place during the summer of 1630 in China. Why did you choose this time and place for your story? The story takes place in the final years of the Ming dynasty, culminating in a monumental and highly consequential event that takes place in the city of Kaifeng in 1642. By starting in 1630, I’m building the necessary background for readers to understand the significance of the event when it takes place. 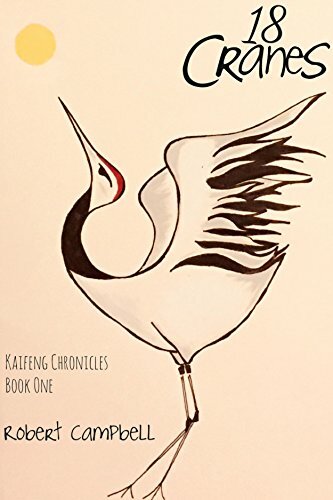 18 Cranes is the first in a series of nine novellas, collectively known as, Kaifeng Chronicles. 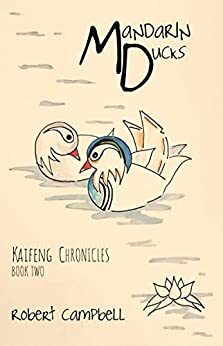 The second book, Mandarin Ducks, has been available for the past few months. The third book, Grand Canal, is scheduled for release in late January 2019. In the late summer of 1630, 23-year old Li Bing writes the provincial level imperial examinations, the first step towards entering the Chinese civil service. He is tormented by a dream of 18 cranes, and as he awaits his exam results he seeks out insights from those around him to help him understand his dream. In the end, he learns more than he imagined.